Surface PatternsSurface Pattern design is about creating art for textiles, wallpaper or other decorational surfaces. I design patterns and sell them on Spoonflower, Motiflow, Society6 & RedBubble. Most of you probably already know through facebook or other channels, but the Cave Pilot 55 kickstarter is online! 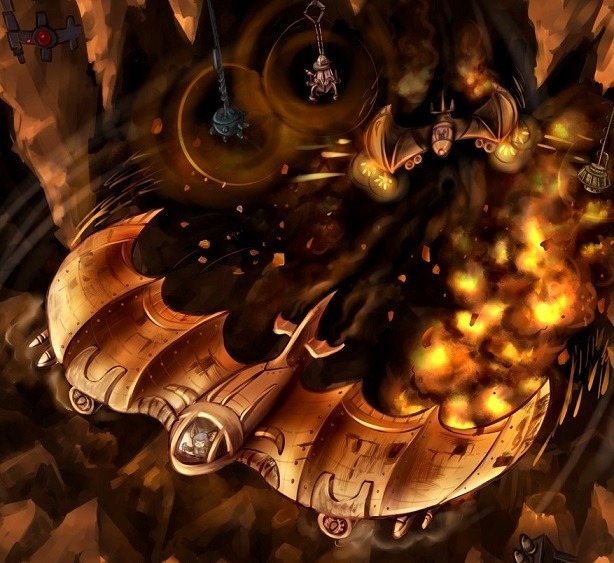 Cave Pilot 55, a table top game where you play as a bat pilot and fly through a gauntlet cave. The kickstarter is now online! If you’re fast, you can pledge and buy Cave Pilot 55 for €28 including worldwide shipping. The game has been playtested a LOT and if you like board- and card games, I really recommend it. Ofcourse, because it’s a Kickstarter project, it will only happen when enough people pledge and back the campaign, so please if you’re interested take a look! and steampunk-ish tech… pretty awesome! More info and updates about Cave Pilot 55 and the creator Kwatta Games can be found on their website!